In this guide to the best 10 blogging platforms, we will cover the most popular and useful options for starting a blog today. As well as giving you a good overview of the different options, we will also list their pros and cons to help you find the best platform for your blog. If you’re still not sure which option to choose by the end of this article, don’t worry. 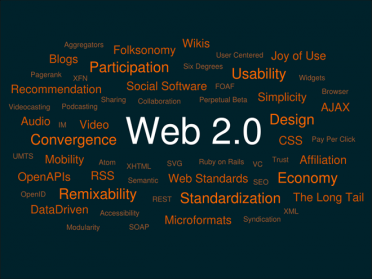 It is possible to change blogging platforms and migrate to a new system in the future. Blogging can be highly rewarding, so don’t let a lack of certainty on which platform to use stop you from getting started today. Put simply, a blogging platform is a software or service that gives you the ability to publish content online. In the case of the best 10 blogging platforms covered here, that content is usually in the form of text and images. Although depending on the platform, it could also be video and audio content. After signing up, in the case of a hosted blogging platform, or downloading and installing the software as you would with a self-hosted platform, you can start writing articles and publishing them online. After that, you can share them with your audience and followers, or wait for them to be discovered organically. As mentioned, some of the best 10 blogging platforms are hosted, while others require you to host the software yourself. The latter involves choosing a web hosting company to take care of this for you. If you go with a hosted service, such as Blogger, all you have to do is enter a few details, and you could be publishing your first blog post in a matter of minutes. Setting up a self-hosted blog, when using a platform like WordPress.org, can be more involved. However, you tend to have greater control over your blog, its content, and what you can do with your website, rather than being tied into the often more restrictive terms and services of a hosted blogging platform. Due to this, you have more options for monetizing your content, changing the design of your blog, and working with other authors, to name just a few benefits of opting for a self-hosted blogging platform. On the other hand, managing your own self-hosted blog can involve more work, taking away from the time that could be spent blogging. When it comes to hosted vs. self-hosted blogging platforms, and which is best, there’s no right or wrong option. Just check out the pros and cons listed below to find the best platform for your needs and preferences. Some points to consider when choosing a blogging platform includes the price, user experience, and design customization options. It’s also worth thinking about whether you only want a blog, or you might like to use other features in the future, such as the ability to sell products, offer downloads, or create a portfolio. If the latter appeals, then look for a platform that can be also be used to create other types of websites and not just blogs. 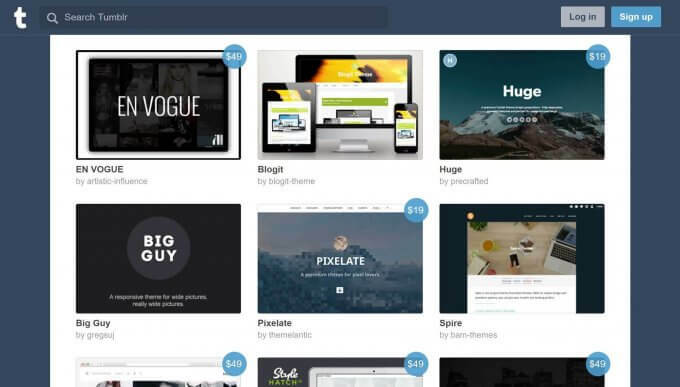 So to help you start your blog, here are the best 10 blogging platforms available today. Blogger is a blog-publishing service, now owned by Google. Launched in 1999, Blogger is one of the most well-known and well-established blogging platforms still in operation today. Unlike many of the other best 10 blogging platforms in this comparison, Blogger is focused solely on creating blogs. Thanks to this, there are fewer distractions from other features, making it very easy to get started and publish blog posts. With Blogger, there aren’t as many customization options compared to the other blogging platforms. However, the upside of this is that it does help simplify the Blogger user experience. Also, if you’re using other Google services, such as Google Drive or Photos, the process of including photographs in your blog posts is simplified. Also, once you’ve registered a domain name, you can use it with your Blogger blog for free, instead of using a mysite.blogspot.com subdomain. Very easy to use, mainly due to the single focus on blogging. 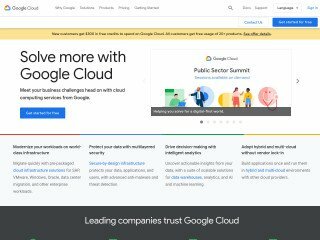 Integrates with other Google services, including Google Drive. No fee to use your own domain name for your Blogger blog. Blog templates look outdated, especially compared to other platforms. Not as powerful or customizable as many of the other top blogging platforms. No paid plans to enhance your blog. 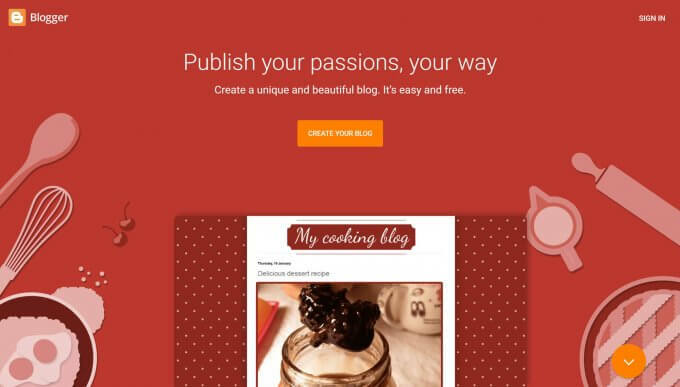 Blogger is ideal for those new to blogging or anyone who doesn’t consider themselves a techie. The comparative lack of features and functionality reduces your options, but it does make it very easy to get started and begin publishing blog posts. However, the lack of quality templates, no add-ons or plugins, and an inability to remove ads, is hard to ignore. This means that Blogger isn’t a good platform for anyone who wants the option to upgrade or expand their blog in the future. WordPress is the most popular software for creating websites and blogs. In fact, the WordPress software powers around 25% of all websites online today. So if you’re looking for a tried and tested platform for your blog, it’s hard to go wrong with WordPress.org. However, declaring WordPress.org the best blogging platform isn’t quite that straightforward. The WordPress website building and blogging software can be freely downloaded from the WordPress.org website. But if you want to use this platform for your blog, you’ll need to sign up with a web host. Purchasing a domain name is necessary too – although some web hosts give new customers a free domain when signing up. Fortunately, the best web hosts, whether you’re paying a few dollars a month or hundreds a year, make it very easy to launch your new WordPress.org blog. After that, you’ll be responsible for keeping the WordPress software up to date and taking basic care of your website. Although depending on which web hosting package you choose, these tasks can be taken off your hands. It might sound like setting up and managing a WordPress.org blog is a lot of work. However, it’s relatively straightforward, and a good web host will provide you with assistance. For a bit more effort and financial investment, compared to the other best 10 blogging platforms, you’ll have a higher level of creative freedom over your blog. For example, there are countless free and paid themes available to help you transform the design of your blog. About as many free and paid plugins are on hand to add almost any type of feature or functionality to your blog. If you want to adjust your blog in any way, and there isn’t a theme or plugin out there, you have the option of working with a developer to create a custom solution. As you own your self-hosted WordPress.org blog, you have full access to the underlying code if you need it, too. As you can do almost anything with WordPress.org, the possibilities can be overwhelming. However, if you stick to the blogging aspects of the WordPress.org platform, you shouldn’t have any problems. Besides, there’s almost an unlimited amount of material available to help you get the most out of your WordPress.org blog, including videos, blogs, courses, podcasts, and more. Full ownership of your blog, including the monetization options. Highly customizable through the settings and options, as well as by accessing the code. Huge library of WordPress themes and plugins to enhance your blog. 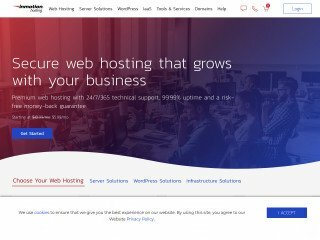 Must pay a web host to keep your WordPress.org blog online. Higher levels of responsibility for keeping your blog running smoothly. Mastering the full potential of WordPress.org can be difficult. 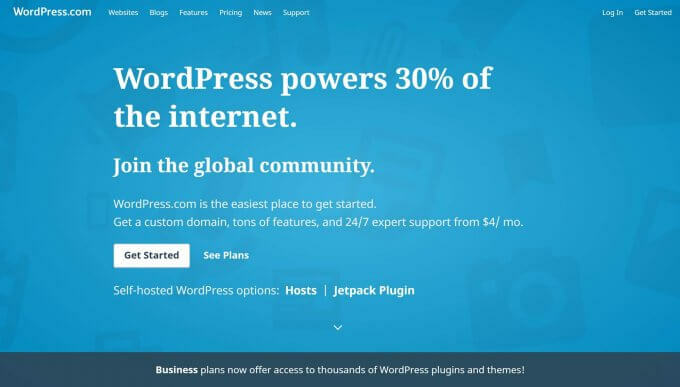 WordPress.org is the most powerful blogging platform available today. 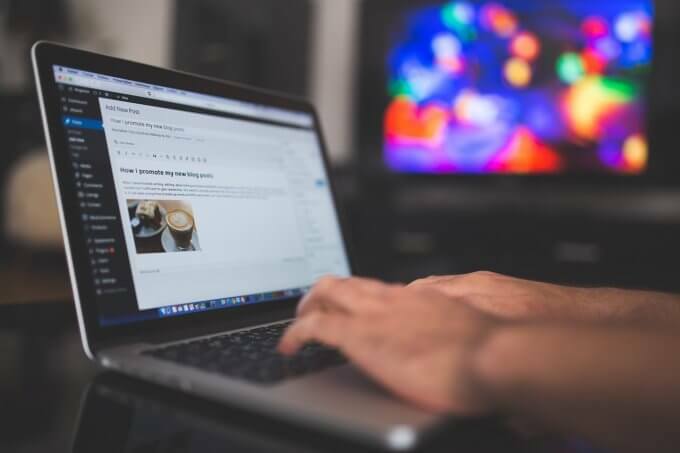 However, it does require a greater investment of your time, finances, or a combination of both to keep your blog online and running smoothly, at least compared to the other options in this collection of the best 10 blogging platforms. 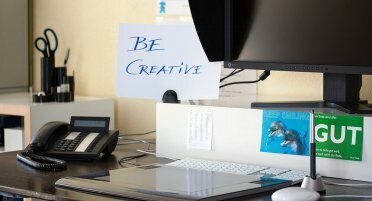 But if you do choose WordPress.org, you’ll have complete creative control over your blog, as well as the ability to grow it in almost any direction you want, as your project develops. Signing up for the free WordPress.com service gives you instant access to your very own blog. Unlike the WordPress.org blogging platform, there’s no need to download any software or find a web host. Purchasing a domain name isn’t necessary, either. Instead, the WordPress.com service gives you access to a hosted version of the WordPress software. You also get your own choice of URL, using a subdomain of the WordPress.com top-level domain (for example myblog.wordpress.com). In exchange for this convenience, you are limited in what you can do with your blog, at least compared to hosting the WordPress software yourself. Adverts from the Automattic Ad Network are displayed on your blog, too. Also, unlike hosting a WordPress blog yourself, with WordPress.com, you don’t have access to the same number of themes or plugins. You can still use plugins to add new features to your blog, or change its design with a different theme. However, you don’t have access to anything like the same number of themes and plugins that those self-hosting their WordPress blog enjoy. Although the core WordPress.com blogging platform is free to use, you can pay to upgrade your blog and unlock additional features. Doing so gives you the ability to change the domain of your blog, access a wider range of plugins and themes, remove the WordPress.com adverts from your blog, plus more. If you want to make money from your blog, your monetization options are restricted, at least compared to self-hosting your own WordPress blog. You can display affiliate links, publish sponsored posts, and sell products, on your free WordPress.com blog. However, there are restrictions that you must be aware of before trying to make money with your blog. Easy to get set up and start a blog. Free to launch your blog with no running costs. 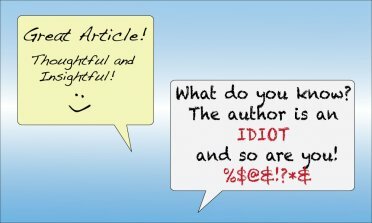 Good selection of blog designs to choose from. Best features are reserved for paying users. Cannot display your own adverts on free WordPress.com blogs. Your blog remains the property of WordPress.com and could, in theory, be taken offline at any time. WordPress.com makes it very easy to start a blog. The paid plans also give you the option of upgrading your blog in the future. Alternatively, you could migrate your blog to a self-hosted WordPress.org website when you’re ready. Wix is a hosted service for creating almost any type of website, including blogs. The free plan is ideal for hobby bloggers and those who want to try their hand at blogging without paying any money. Due to the branding and adverts that are displayed on the free Wix plan, business bloggers will need to upgrade to one of the paid subscriptions to give their blog a professional appearance. Upgrading to the premium Wix plans enables the use of your own domain, rather than a Wix subdomain, such as myblog.wix.com. Also, if your blog grows in size and popularity, beyond the storage and visitor limits of the free plan, you’ll have to upgrade to one of the premium options. 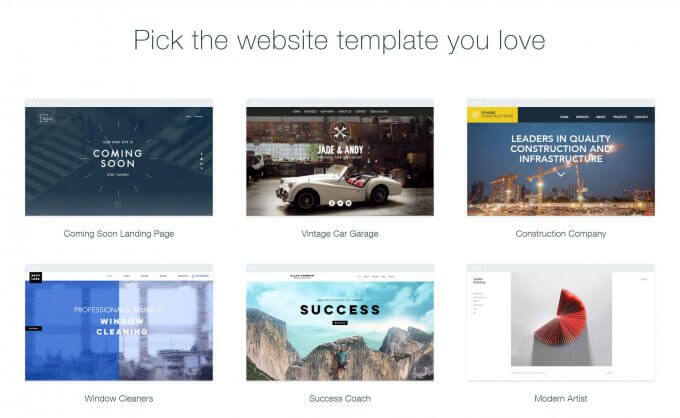 With all of the Wix plans, you can choose from a selection of modern and mobile-friendly templates for your blog. Also, thanks to the user-friendly Wix website builder tool, you have the ability to customize the appearance of your blog. Wix users can also add extra features to their blog, via the free and paid options in the Wix App Market. Totally free to get started. 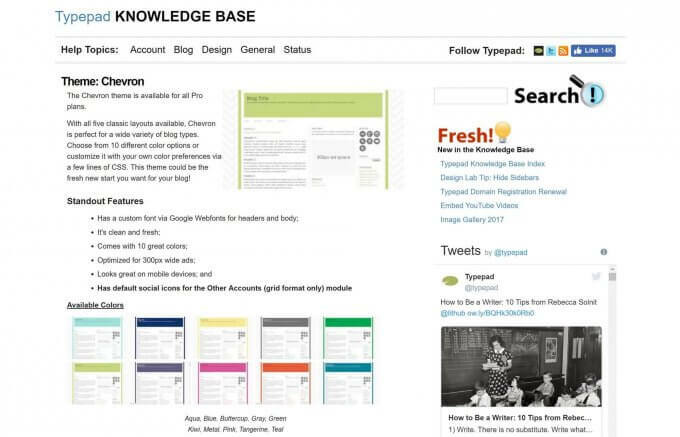 Library of free website and blog templates. 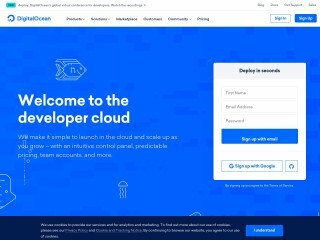 Drag-and-drop website builder for creating custom blog designs. Upgrading to a paid plan necessary if storage and bandwidth allowances exceeded. Must pay to remove ads and unlock other features. Bound by the Wix terms of service. Although Wix is primarily a website builder rather than a pure blogging platform, launching your blog is still straightforward. 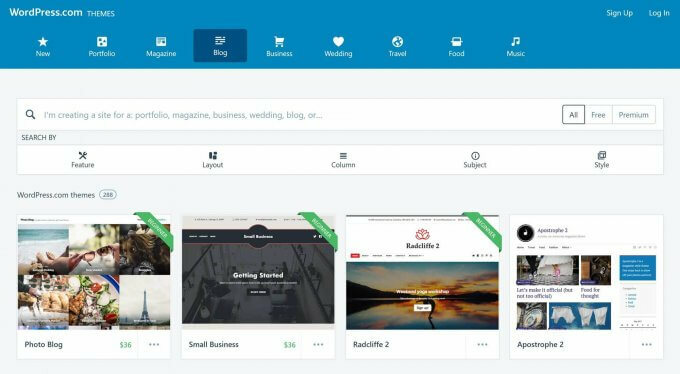 The library of Wix templates has been designed to a high standard, while the app market makes it easy to add a wide range of your new features to your blog. However, you’ll probably want to upgrade to one of the paid plans once your blog takes off, or if you’d like your blog to create a professional impression on your visitors. Weebly is another popular blogging platform that can be used to create all types of websites, including blogs. The free plan makes it easy to get started, although a small advert will be displayed in the footer of your site. Upgrading to the paid plans removes the ads, increases your storage allowance, and unlocks other features. If you want to use your own domain name, such as myblog.com instead of myblog.weebly.com, you’ll also need to upgrade to one of the paid monthly plans. RELATED: To Blog or Not to Blog? 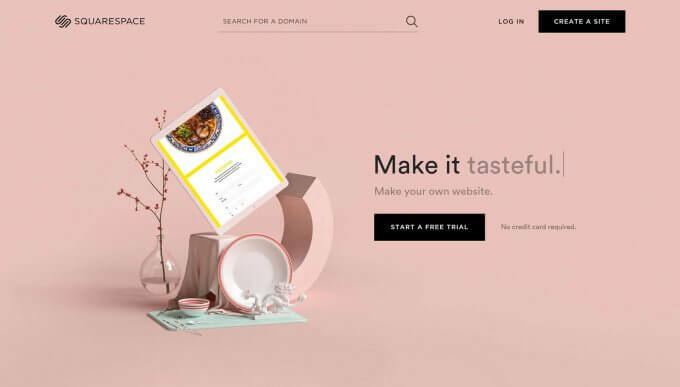 To help give your blog a stylish look, Weebly users get access to an attractive set of website templates, including a good selection of purpose-built blogging themes. You can upload your own photos and videos to your blog, although the free and entry-level paid plans only include 500MB of storage. Weebly also has an easy-to-use editor that will help you give your blog a custom look, that’s unique to you. Thankfully, the Weebly editor has certain restrictions to ensure everything ends up in the right place. This should help those without web design skills avoid making a mess of their blog. Free to get started and launch a blog. 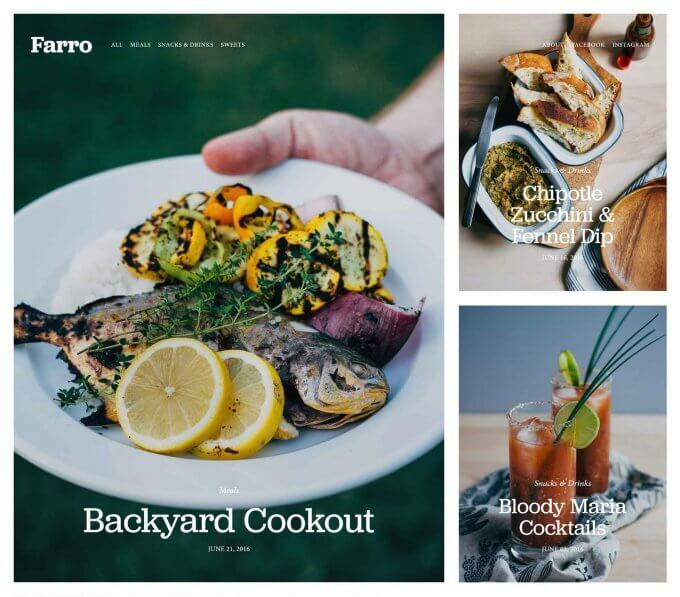 Good selection of customizable website and blog templates. Useful selection of free and paid apps to add new features to your blog. Best features only available to paying members. Only 500MB of storage on free and entry-level plans. No option to take full control of your blog and self-host your site. A free Weebly blog should be enough for most people to get started and begin growing their audience. The templates look great and the editor is easy to use. After that, you have the option of working your way through the paid plans, adding more features and capabilities to your blog, as your needs increase. Tumblr is described as a microblogging platform and social networking website, making it a good choice for anyone who wants a service that will help them quickly build an audience for their blog. The feature that allows Tumblr users to follow each other provides a good way to gain regular readers for your blog, before it starts showing up in the search engine results. Getting started is very easy and there are no costs involved in joining Tumblr or running your blog. Although, as well as the free blog designs, you do have the option of purchasing premium templates. 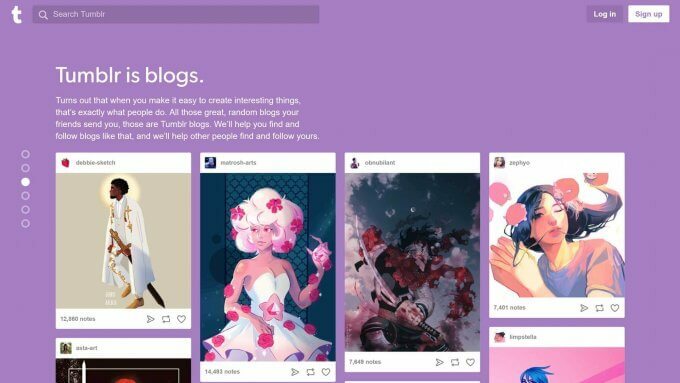 Unlike some of the other options in this collection of the best 10 blogging platforms, Tumblr doesn’t have a drag-and-drop editor. Although, this lack of customization options is part of what makes Tumblr so easy to use. Another key characteristic of Tumblr, that could determine whether it’s the best blogging platform for you, is its focus on publishing short-form blog posts and sharing multimedia content. If you check out a Tumblr blog, you’ll quickly see what this means. Typically users share a video, audio, or image, including animated GIFs, with or without accompanying text. Tumblr could also be the right blogging platform for you if you’d like the ability to quickly find lots of other content. If you’re in search of inspiration for almost any topic, you’ll be able to find other bloggers on Tumblr posting relevant content. Following those users sees your dashboard populated with their latest posts, similar to social media sites like Facebook and Instagram. Social networking and community features can help grow your audience. Possible to integrate a Tumblr blog with your other social media accounts. Very simple interface for posting text, images, and videos. No plugins or apps to add new features. No website editor tool for creating a custom blog design. Mixed quality levels in the theme library. If you’re publishing the right type of content, there’s a good chance other Tumblr users will promote and comment on your posts. Therefore, if you’re looking for one of the most interactive blogging platforms around, with a ready-made audience, and you aren’t interested in publishing long articles, Tumblr should appeal. Unlike many of the other best 10 blogging platforms, Typepad doesn’t have any storage restrictions. This makes it a good choice for publishing videos, audio, or lots of photos on your blog. However, there is a monthly upload limit which could restrict how much multimedia content you’re actually able to upload. All users can also use their own domain name for their Typepad blog, rather than a subdomain, such as myblog.typepad.com. However, the catch is that Typepad isn’t free to use. Instead, all of the options for using Typepad are paid plans, with prices starting at $8.95. Although there’s no free plan for using Typepad, there is a 14-day free trial that lets you test out this professional blogging platform. Good levels of customization for users on higher plans. 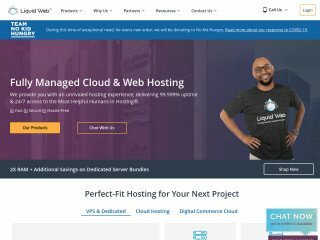 Suitable for video and audio hosting, including podcasts. Ability to add multiple others to one blog on higher plans. Other blogging platforms have better designs and themes. No free option for using Typepad. 150MB monthly upload limit on the entry-level Plus plan. 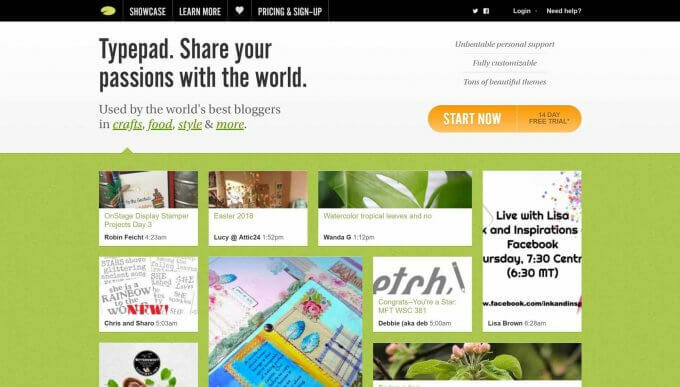 Typepad isn’t free and you can find better blog templates with other platforms. However, being able to customize the design of your blog using HTML and CSS, as well as the ability to add multiple authors to your account, could make Typepad the right option for you, especially if you need those features and are prepared to pay for them. Squarespace isn’t free, and it isn’t cheap either, at least compared to many of the best 10 blogging platforms in this guide. However, creating a professional looking website or blog with Squarespace is a very straightforward and efficient process. In fact, you can see just how easy it is to create a stylish blog or website with Squarespace, without entering any payment details. Then, if you’re happy with what you’ve produced, you can sign up, and launch your new blog. 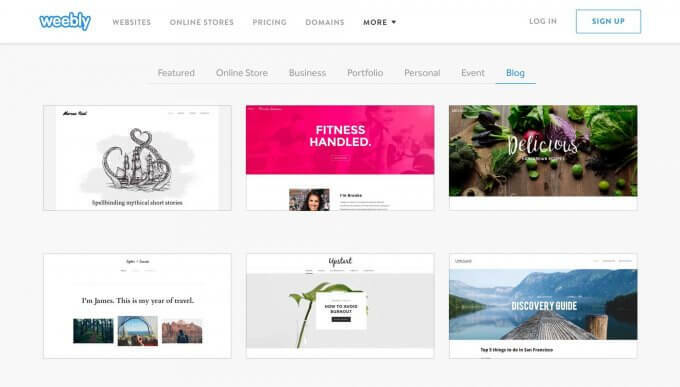 Some of the reasons why people choose Squarespace includes its library of professional website templates and customization controls that let you personalize almost every aspect of your blog. Whether you choose to use the control panel or edit the underlying CSS using the built-in CSS editor, you do get a high level of creative freedom when personalizing your blog. Squarespace probably has one of the longest feature lists of any of the best 10 blogging platforms covered here, outperformed only by WordPress and its library of plugins and themes. 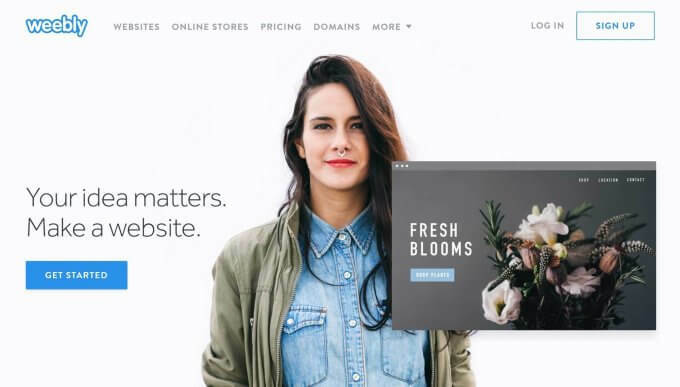 Squarespace features include the ability to add multiple authors to your blog, domain mapping that removes the need to use a squarespace.com subdomain, and a good level of social media integration. You can also connect your blog to a small number of third-party services, such as Google Analytics, giving you a detailed insight into your visitors and their activity on your blog. 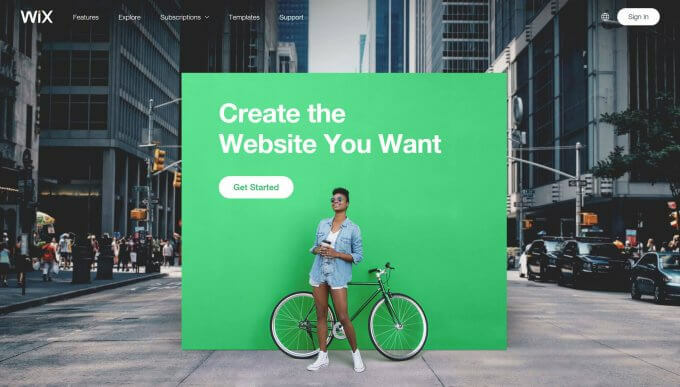 Squarespace also holds online webinars and in-person group workshops to help you unlock the full potential of this website builder and blogging platform. Full creative control over your blog, through an intuitive editor. Access to high-quality blogging templates as part of the price. No resource limits, including unlimited storage and bandwidth. No free plan, although you can build your blog before entering payment details. No option to add extra features from outside the Squarespace library. Prices are high compared to other blogging platforms. Along with a self-hosted WordPress.org blog, Squarespace is the most powerful option in this collection of the best 10 blogging platforms. The long feature list and the high degree of creative freedom might be overkill for some bloggers. But if you do want to create a professional looking blog, with the option to expand your website in almost any direction in the future, paying for a Squarespace subscription could be justifiable. 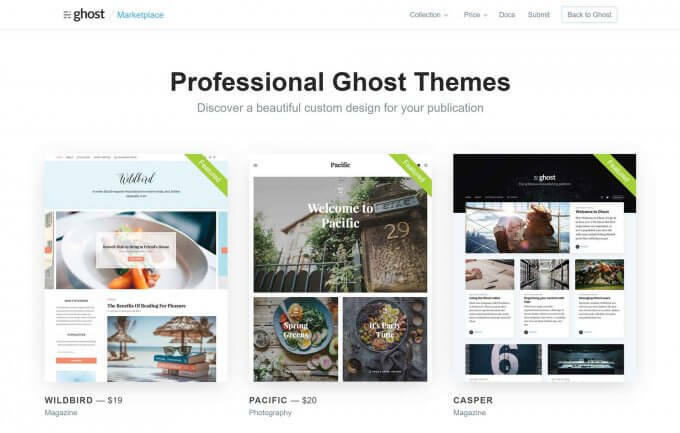 Ghost is similar to WordPress, in that you can download the software and make your own blog hosting arrangements, or sign up for the hosted Ghost service and let them take care of everything. Considering that Ghost was created to be a more blogging-focused alternative to WordPress, this comparable approach makes sense. 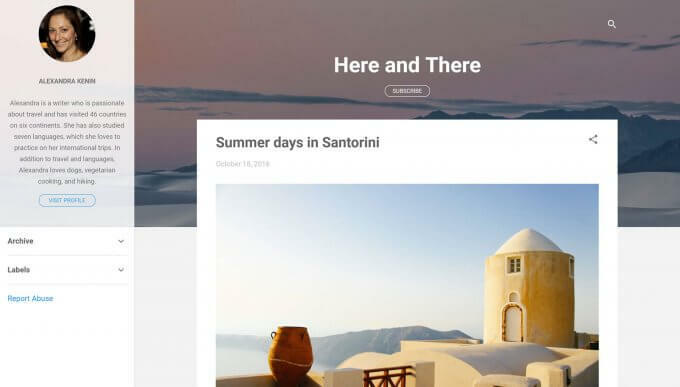 As part of the attempt to differentiate Ghost from WordPress, the former has a simplified user interface that makes creating blog posts more intuitive than it is with WordPress. Although as an upgrade to the WordPress blog post editor is imminent, this could all change in the near future. Unlike the WordPress.com blogging platform — the hosted version of WordPress — you will have to pay if you choose to sign up for the Ghost hosted service. There’s no free plan, unfortunately, and with prices starting from $19 per month for the entry-level plan, it’s one of the most expensive options in our guide to the best 10 blogging platforms. Although, as the Ghost project is a nonprofit, that money is used to fund further development of the platform. 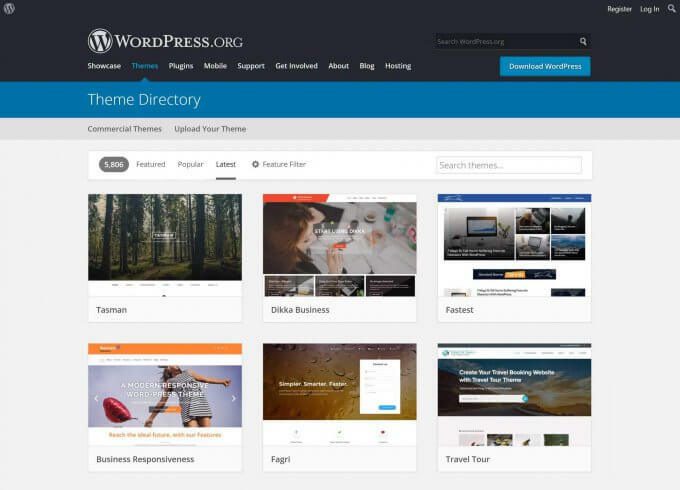 Also compared to WordPress, there are less themes available to help you change the design of your blog. You’ll also be unable to add as many extra features to your Ghost blog, due to the smaller number of plugins available for the platform. Software can be self-hosted or hosted on the Ghost servers. Intuitive blog post creation interface. Not much scope for expanding your blog into other types of websites. Fewer themes to choose from compared to some other blogging platforms. Self-hosting a Ghost blog can be more hands-on than running your own WordPress blog. 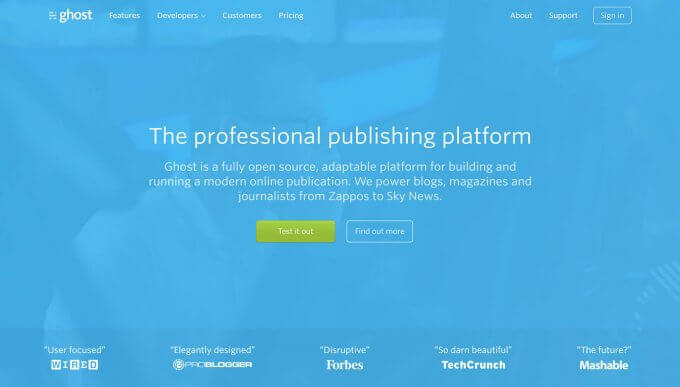 If you like the idea of supporting a nonprofit blogging platform and using open source software for your blog, then Ghost should be of interest. The simplified blog post publishing interface makes Ghost worth considering too. However, compared to WordPress, you do have access to fewer options for customizing your blog or adding new features in the future. Medium has more of a community feel compared to many of the other best 10 blogging platforms we’ve covered so far. 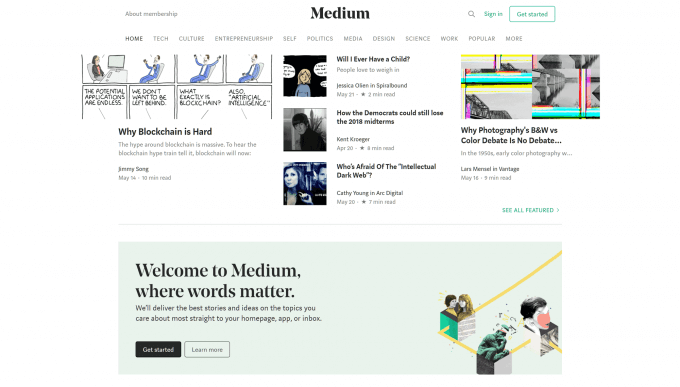 Once you’ve signed up and created a free account, you can begin publishing articles on the Medium website, along with all the other registered users. So rather than having a self-contained blog, your writing shares a platform with other authors covering a wide range of topics. Due to this approach, one benefit of choosing this blogging platform is that the Medium website is a popular destination in itself. Thanks to this, there’s a chance that some of the people reading other blogs on the Medium platform will find their way to your articles, giving you a free and easy way to grow your audience. Just like an online magazine or newspaper, people head to the Medium website in search of great content. Again, this can help your writing be discovered. One downside of this is that links to content from other users can be displayed at the end of your articles, potentially distracting your readers and sending them elsewhere on the site. The downsides of choosing Medium over the other options, are that you have much less control over the design of your content. You can’t add new features to the platform, or turn your blog into a different type of website in the future either. Totally free to use, including adding your own domain name to your blog. The Medium brand is associated with quality content, which could pass onto your articles. The Medium website is a popular destination, potentially giving your blog a ready-made audience. No option to self-host your own Medium blog or separate your content from the Medium community. Cannot add extra features to your articles, such as email newsletter sign up forms or other content elements. Unable to display your own adverts and monetize your content in this way. 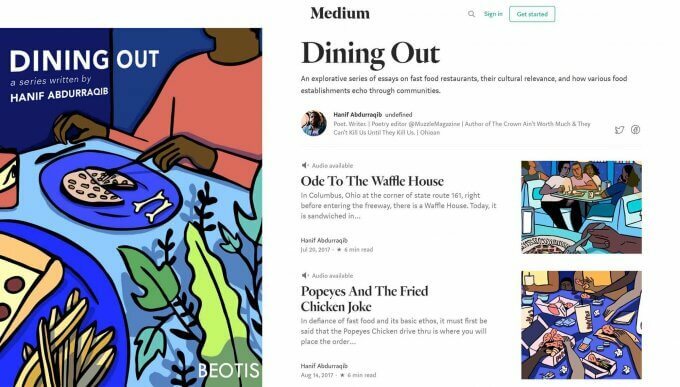 If you want to sign up and start publishing content as quickly as possible, while also being able to tap into a ready-made audience, Medium is hard to beat. However, it is important to know that you never really own your blog. Instead, you are just publishing articles on the Medium website. The lack of customization options and upgrade possibilities does simplify the process of blogging, but it also limits what you can do beyond simply publishing articles. As you can see there are some excellent free, freemium, and fully commercial blogging platforms available. Whether you just want to start writing and publishing your thoughts online with a community-focused platform like Medium; you need full control over every aspect of your blog as is the case with a self-hosted WordPress.org site; or you’d rather sign up with a hosted service like Squarespace, that will enable you to create any type of website, including blogs, ecommerce stores, and online portfolios, there’s a blogging platform out there that’s right for you. Which of the best 10 blogging platforms will you choose? Please let us know in the comments below. Do you mind sharing your URL? My interest is seeing how long your pages take to generate. 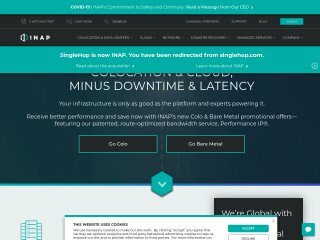 My experience with inexpensive hosts is that ‘shared hosting’ translates into slowed loading times. They do. I subscribed to it with my alt e-mail. Published a blog post. Got an e-mail update about it. Deleted the plug in. It’s not good. All it does is email the content of your blog post to the subscribers. It gives them zero incentive to visit the actual blog so you technically lose readers. Inserting a Mailchimp HTML sign up form is way better.